According to to Syriza politicians, Tsipras and Varoufakis a NO vote would have delivered the Greek people victory in its negotiation with the Troika with promises of an agreement already on the table and of course the banks would reopen Tuesday. Which just like a string of promises made for the whole of 2015 have proved totally worthless propaganda aimed at convincing a delusional Greek electorate that a paradise of sorts was awaiting them if only they voted NO / committed mass suicide, the reality of which is only slowly starting to dawn on an increasingly panicky Greek people who are experiencing economic collapse accelerate on a daily basis. Similarly AFTER the NO vote the mainstream press and BlogosFear appears to have googled for what happens next and concluded that Greece has the nuclear option of printing euros as I wrote early on the 2nd of July (indexed 1st July). 02 Jul 2015 - Forget Drachmas Greece Syriza Government Could Instruct Central Bank to Print Euros! In the face of this crisis, Greece does have the nuclear option, one that could threaten to blow the whole euro-zone apart as what apparently no one is reporting on is the fact that Euro's in Greece are printed by the Greek central bank. Therefore Syriza faced with empty bank vaults could just command the Greek Central Bank to start printing Euros without ECB authorisation, which would instantly result in a devaluation of Greek Euros that would be marked down in value against other nation Euros. Greece printing euros would instantly wipe out the value of the debt denominated in euros as well as wipe out most of the value of savings and purchasing power of earnings i .e. Greece would effectively be printing money to inflate its way out of the crisis and thus the Greek inflation rate would soar. The Guardian - With a return to the drachma unwanted, could Greece just print its own euros? Faced with shuttered banks and ATMs all but drained of cash, but with most of its citizens saying they would rather stay in the eurozone than revert to the drachma, could Greece simply decide to print its own euro notes? It is certainly physically capable of doing so: the Greek central bank owns a press in Holargos, a suburb of Athens, that once printed drachma and is currently one of 14 high-security currency printing works across the eurozone producing euro banknotes. But actually going ahead and printing unauthorised notes would amount to a declaration of war on the European Central Bank. All of which of course, is meant to suggest that there is no formal way to expel Greece from the Euro and only a slow (or not so slow) economic and financial collapse of Greece is what the Troika and ECB have left as a negotiating card. However, this cuts both ways, because while Greece and the ECB may be on the verge of a terminal fall out, Greece still has something of great value: a Euro printing press. It may not get to there: according to Telegraph's Ambrose Evans Pritchard who quotes what appears to be a direct quote to him from Yanis Varoufakis, Greece will, "If necessary... issue parallel liquidity and California-style IOU's, in an electronic form. We should have done it a week ago." However, none so far have apparently realised the consequences of Greece printing own euro notes without ECB permission, which is that as soon as it starts to do so then that would mean that Greek EURO notes would no longer be accepted in other euro-zone nations regardless of any assurances from the ECB, which effectively means that Greece Euro notes have an EXPIRY DATE. Again my earlier article covered the ramifications of what would happen as Greece's bank notes would no longer be accepted that would impact on the relative value of all PIIGS euro notes. 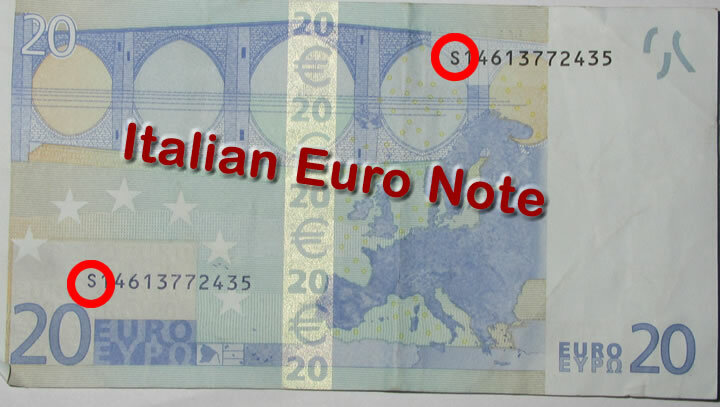 Which effectively translates into every Euro note having an expiry date as their respective values adjust to the state of their domestic economies i.e. The euro notes of the member states would start to behave as free floating currencies rather than a single currency. So, for example someone shopping in a store in Greece and eventually the other PIIGS would be able to buy MORE with the same denomination German Euro note marked with an X then the notes of other euro-zone nations and especially that of Greek Euro bank notes marked with an Y.
Whilst today the suggestion that Greece could start printing euros without permission may seem impossible, however so did Greece defaulting on the IMF loan and a collapse of its banking system just a week ago! So all this talk in the media of it being impossible for Greece to launch and print its own currency for many months if not years is WRONG, for Greece already has printing presses ready that can immediately print Euros without limit. In fact Greece may have been stealthily stock piling currency paper and ink in readiness of detonating its nuclear option. In fact Greece may already be printing billions of euros in secret that will only start to become apparent when Greece as if by magic is able to start to relax its capital controls such as limits on withdrawals. In fact the euro notes would be just the tip of the money printing ice-berg for the Greek central bank only needs to press a few buttons to electronically print tens of billion of euros and then eventually in the hundreds of billions as Greece goes through its own hyperinflation event and we will probably see inflation take off in all other euro-zone nations except Germany. However, floating euro notes would only be the beginning of the real euro crisis which would manifest itself as a credit freeze across the euro-zone as bank customers will be unwilling to transact business with other less credit worthy euro nations so as to preserve the value of their bank deposits i.e. German bank deposits would be trading at a premium to Italian, Portuguese and Spanish amongst most others. Remember this is BANK DEPOSITS trading at different values and therefore there will be a rush to open to German bank accounts so as to preserve the value of euro bank deposits. 1. Pull cash out of the banks and keep your money in cash, euro notes, or better still German euro notes (X), though given the limited number in circulation when compared against bank deposits and sovereign bonds that may be a problem, but better to act now rather than later. 2. To open an account with a GERMAN bank and transfer as much of your euros into it because Greece pressing the nuclear button and printing its own Euro's will result in euro notes starting to only become acceptable on the basis of their country of origin which will be accompanied by a Credit Freeze as account holders will be less likely to accept transfers from other PIIGS nations bank that may lose a significant proportion of their value i.e. 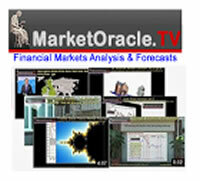 it would be the start of the market pricing in differing rates of exchange between euro-zone member states. Again those with their wealth in euro accounts need to ACT NOW! As Greece goes bust tomorrow! Because Syriza BOTH want to have Greece's debt written down AND another LOAN of Euro 30 billion! "Write off our debt but we also want to keep borrowing money from you", which means there won't be an agreement. Which means that things may come to ahead long before the Euro 3.5 billion repayment due to the ECB on 20th July. Which means Greece will start to print euro notes or IOU's within a matter of days and that I now rate GrExit as a 90% probability, up from 85%. 08 Jul 15, 13:49 Greece just a game now. Greece could buy a bit more time by agreeing to the terms of its creditors in order to free up some more money for a while but then just fail to actually implement any of them. At this point it all just looks like a sad game.